Fan mail #1: This message is from someone who claims to do the illustrations for the popsicle brand Garigari-kun. In a previous episode the hosts doubted if the Coffee Jelly flavor of the popsicle was real, so this person sent in proof of its existence in the form of illustrations they drew for it. After the initial embarrassment of being so quick to (mistakenly) judge something as being made-up, Kame promptly announces that she wants to become friends with the listener. “We could get him to produce all our ideas for Garigari-kun!” Gaki-san is immediately on-board and the hosts start thinking up ideas. Gaki-san suggests pineapple flavor, whereas Kame wants to see a Garigari-kun that has condensed milk or coconut gel in it. “Please make this happen, Gari Producer-san!,” the hosts beg. Fan mail #2: This fan mail is actually several combined into one: many listeners wanted to know how things went with Morning Musume’s recent trip to France. The thing that first struck the hosts was seeing the faces of the audience and how they looked so different compared to the usual Japanese faces of their audiences back home. “The girls were all so cute and beautiful,” Kame sighs. Gaki-san was happy how the audience responded to all the little French phrases the group had learned to say. “Even at the airport there were so many people waiting to greet us, wearing our T-shirts and stuff,” Kame remembers. One thing Gaki-san loved seeing was the foreign fans and the Japanese fans bonding and actually becoming friends thanks to their shared interest in Morning Musume. “Love can cross national borders,” Kame sums up. The hosts loved the city of Paris, too, and they’re both proud to say they got to see the Mona Lisa and the house where Napoleon lived. Gaki-san still remembers when they got the video message from their French fans two years prior, asking the group to come, so she’s very glad they finally got to go. The “punishment” that the loser of this week’s showdown must do for the ending is to speak in either as low or as high a voice as they can manage. 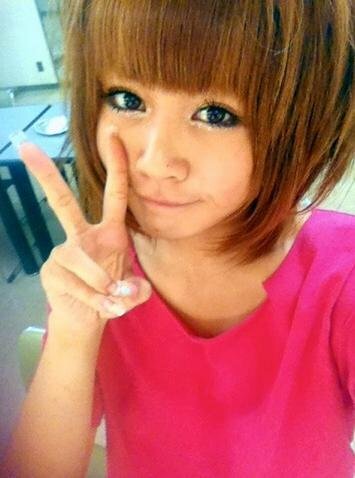 Gaki-san Quiz: Just before the group went to France, Gaki-san put in some hair extensions. Her question to Kame is: when a certain French person saw her with her new hair extensions, what did they say to her? Gaki-san screams that she just got goosebumps and demands to know if Kame was actually there listening, but Kame swears she was not. While the tone of their voice was a bit different, they did indeed say the word “seaweed”: they made a joke and asked Gaki-san if she’d had a lot of seaweed to eat as of late. Kame Quiz: Kame’s mom often hums Morning Musume’s songs to herself, but apparently she always makes some kind of a mistake somewhere in the song, whether it be a misheard lyric or a rhythm that’s slightly off or something else. In the case of “Onna ga Medatte Naze Ikenai,” she always messes up the line “moshimo bijin bakka no yononaka ja.” Kame’s question is: what’s the mistake her mom always makes? Kame: HOW CAN YOU KNOW THAT?! Gaki-san miraculously guesses it correctly. Thus, this week’s showdown has no winner and the hosts have to face their punishment together. Gaki-san (in a very high voice): We’re waiting for your messages!